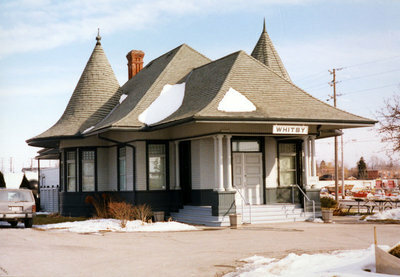 A colour photograph of the Whitby Junction Station. In this photograph the Station is located at the north-east corner of Victoria and Henry Streets. Whitby Junction Station, Date Unknown, Photographer Unknown. Whitby Archives A2013_025_001.